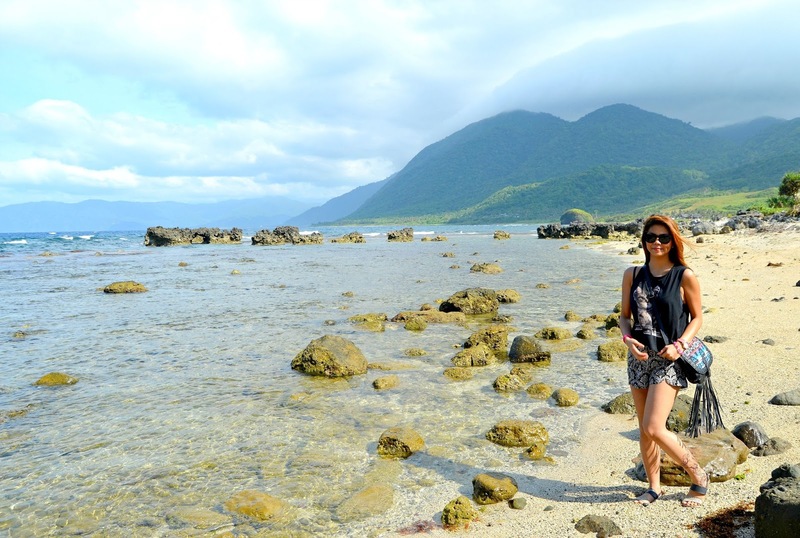 Remember my previous #travelventure in Pagudpud? Here is the continuation of my adventure in this amazing place. 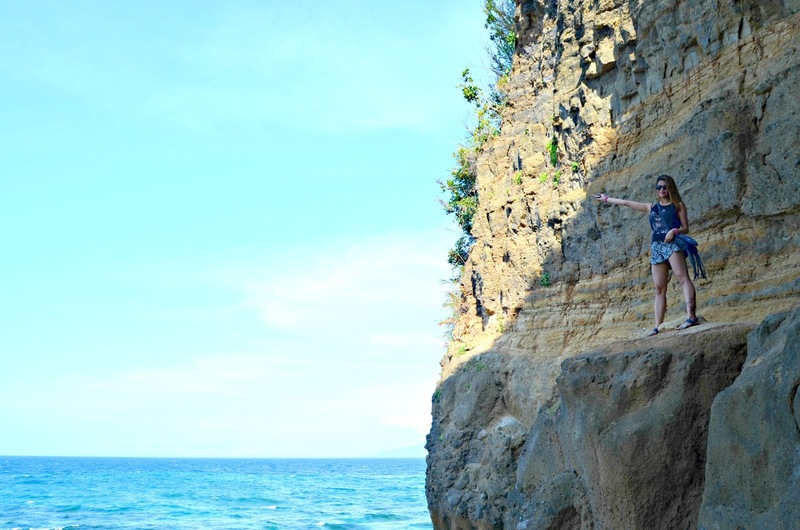 Bantay abot cave is not really a cave but a hill that was wrecked by an earthquake in the 80's leaving a hole in the middle. The top of the cave is covered with lush green vegetation thus adding the beauty of the cave. To get to the interior of the cave, one need to go down a few concrete staircase and a rocky part going up to the hole. Before we went home, we drop by to this wonderful cave that is sitting along the ocean. It is just 5-10 minutes drive from the resort. You need to wear a non-slip shoes since the way going to the cave is kind a wet and slippery. Elders and people with arthritis are not recommended to went through this place as the ladders are steep and hard to walk through. 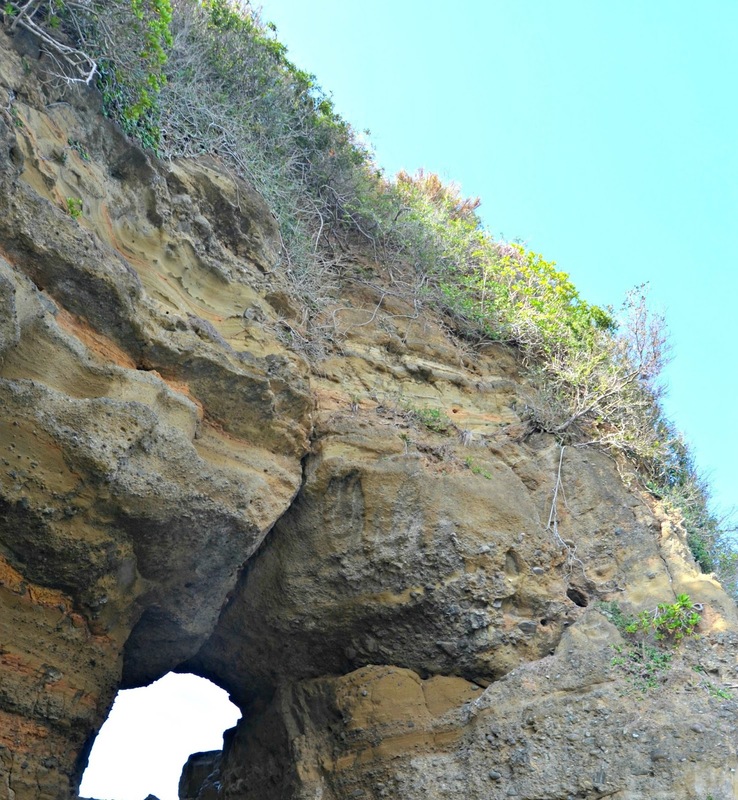 From the inside of the hole one can see the blue waters of Maira-ira beach or Blue Lagoon and on the other side of the hole is the Timangtang Rock - a bell-shaped rocked in the coast of Barangay Balaoi, Pagudpud, Ilocos Norte. Apart from the view, one could also enjoy the melodious sound of the swallow birds chirping and the echoing waves as it hits the shore. I feel like i'm on the top of the world! Well due to time constraint and as we are accompanied by elders and children, we need to go back to our home at time.